Kifta is wthout a doubt the Middle Eastern recipe I cook the most, as it's perhaps one of the easiest out there. The standard recipe recommends lamb, but I usually use beef or a lamb/beef blend depending on where I go to buy the meat. A lot of Middle Eastern butchers already have pre-made kifta-seasoned meat, but I prefer doing all of the seasoning myself, throwing it all on the grill, and building my own delicious kifta sandwiches for dinner (as pictured)! It also tastes great molded into hamburger patties for a fresh Lebanese twist to your everyday hamburger. -------------------------------------------------------- Kifta (Lebanese-Style Meatballs) 2 pounds finely ground lamb meat (or beef) 1 large onion, finely chopped 1 cup parsley, finely chopped 2 - 2 1/2 teaspoons salt 1 1/2 teaspoons pepper and allspice A dash of cinnamon Pita or flatbread, cut into halves Lettuce Tomato Onion Pickled turnip, optional Tahini, optional 1. Mix all the above ingredients very well. 2. Take portions of meat, mold into rolls, lengthwise and around 3" long. 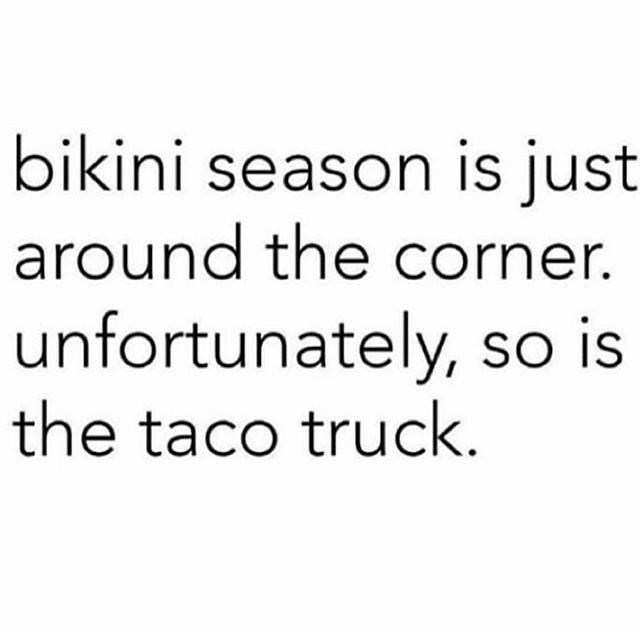 (Or into round patties, if preferred.) 3. Broil over open fire until brown and tender on all sides. Place finished kifta into pita or flatbread to keep the kifta warm. Garnish the sandwich with onions, tomato, lettuce, turnip, and an optional drizzle of tahini sauce. @stargaze That sounds really good! I'll have to stop by the food court next time I'm at UCSD. I usually just swing by Tea Station, hahaha. @MattK95 My sister has been vegan for nearly 15 years, so I know faaaaar too much about vegan cooking and baking. Personally, I've been vegan/vegetarian/etc. on and off for a lot of my life, but right now I just eat mostly plant-based until I'm out to dinner with friends somewhere. I would very much prefer lamb meat. They're so tender! 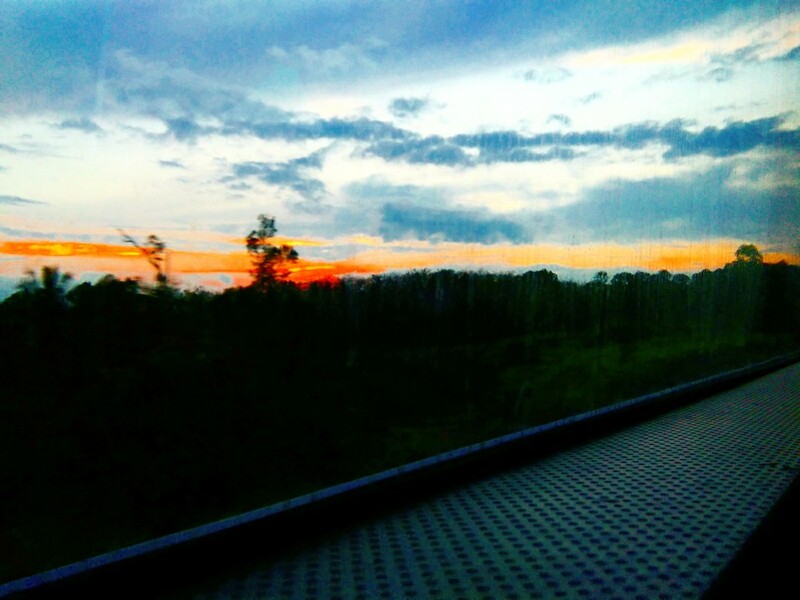 Thanks for sharing @Danidee. What's better than a mozzarella stick, cheeseburger, and pizza? 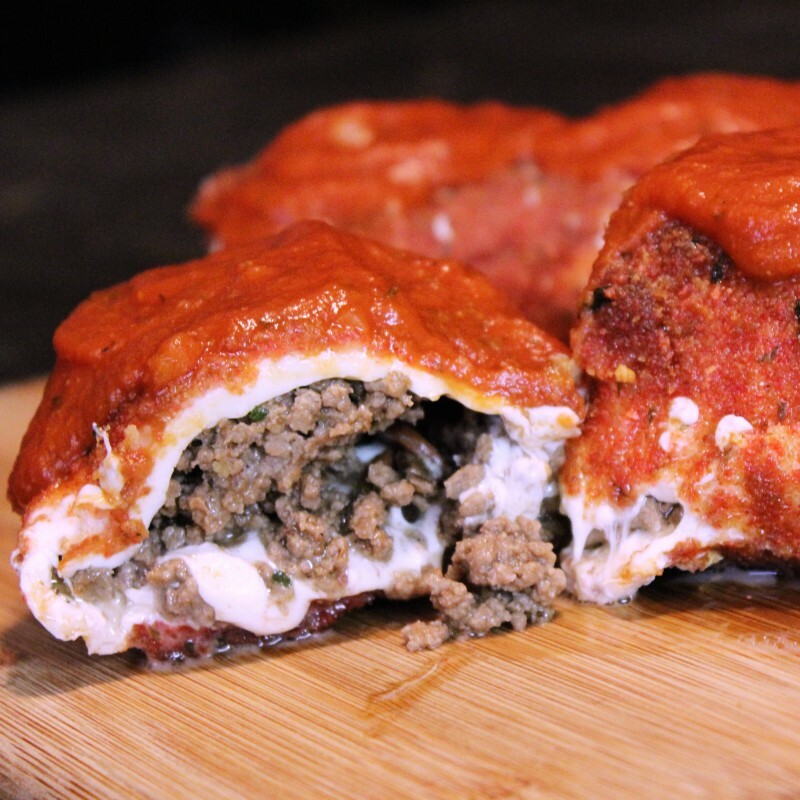 PIZZA BURGER STUFFED MOZZARELLA STICKS! 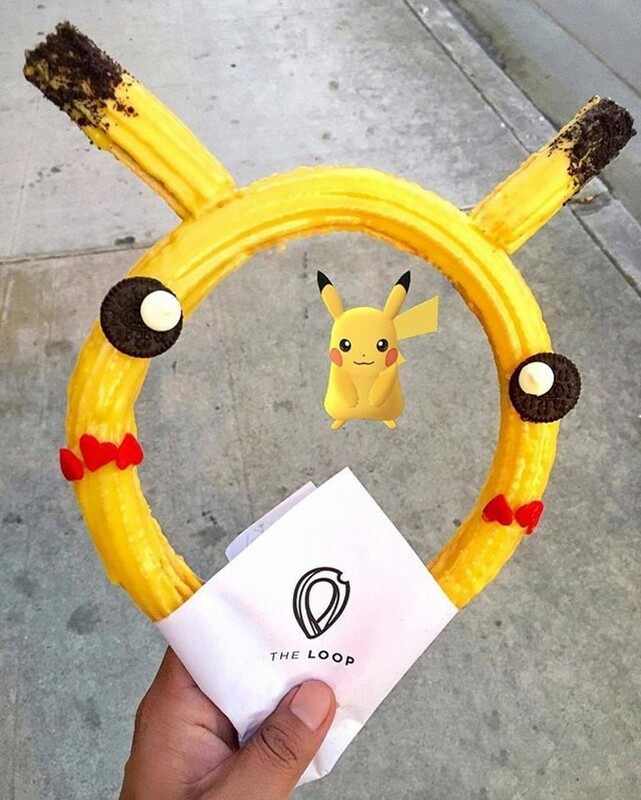 Just when you thought that humans ran out of ideas to add to the already ridiculous list of junk food, we sure as hell prove everyone wrong! This junk concoction is basically all I ever want to live off for the rest of my life. If you don't know about The Vulgar Chef, he is a guy who basically has an ongoing list of food recipes that are so not healthy for you, but so delicious. From bacon cannoli to Doritos breaded chicken, I basically want to marry this guy and have his food babies. The Vulgar Chef: Will You Marry Me? Challenge: I want you to try to not salivate while watching this video. How To Make It: 1) Season ground beef with pizza seasoning. Cook ground beef then mix it with mini pepperoni. 2) Cut roll of mozzarella cheese in half. 3) Add the ground beef & pepperoni mixture into the mozzarella cheese. Add it like you would a burrito. 4) Fold the roll of mozzarella cheese like you would a burrito. 5) Freeze for one hour. 6) Crush some Cheetos. 7) Scramble some eggs. Drunk your mozzarella roll thing into the egg mixture and then dunk & cover it into the Cheetos mixture. Repeat. 8) Back in the freezer 30 minutes. 9) Fry it in hot oil. Deep fry is better. Fry for about 7-10 minutes. 10) EAT! 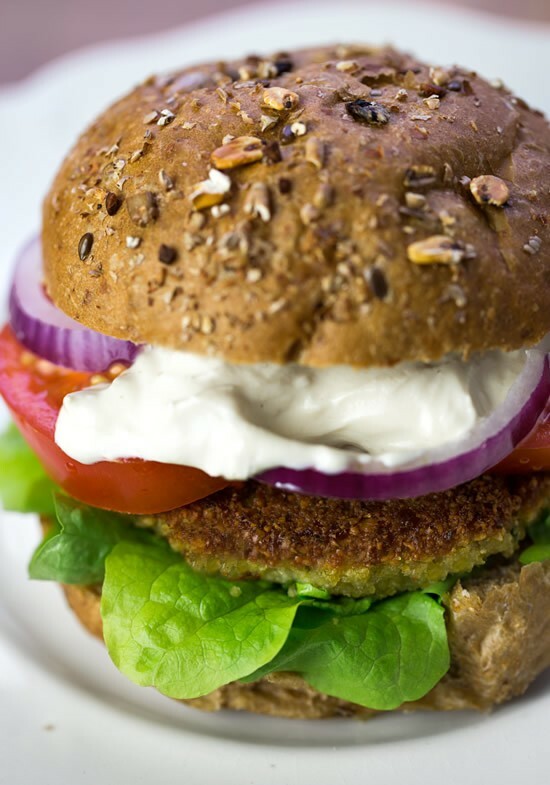 Falafel Burgers with Tahini Sauce, an American Favorite with a Mid-East Twist! One of my favorite local restaurants is called The Roxy in the small beach community of Leucadia. A staple stop on the historic Pacific Coast Highway, the Roxy serves anything from American to Italian to Greek to Mexican - even freshly made ice cream! But they are probably most famous for their fresh falafel balls, which they prepare is an assortment of ways. You can get falafel as an appetizer, in a pita, or on a salad, but their falafel burgers are what hits The Roxy's menu out of the park! Here is a recipe inspired by the Roxy's falafel burgers. Fresh falafel is not only incredibly delicious, but also extremely good for you! Make these burgers the next time you want to put a little fusion in your standard burger spread. You won't regret it! -------------------------------------------------------------------------------- Falafel Burgers with Tahini Sauce 2 cans of chickpeas 1 cup of onion 3-4 garlic cloves 2 tablespoons lemon 4 teaspoons olive oil 1 tsp. salt 1 tsp. black pepper 1 tsp. ground coriander 1 tsp. ground cumin 1 tsp. all-spice 1 cup of breadcrumbs, divided For the Tahini Paste 1/4 cup ground sesame paste (tahini) 1/4 cup hot water 3 tablespoons of lemon juice 2 cloves of garlic salt to taste For the falafel burgers: 1. Chop onions and garlic and throw them into a mixing device with lemon juice, olive oil, chickpeas, and seasonings. 2. Pour mixture into a large bowl with 1/2 of the breadcrumbs and mix until firm. 3. Form patties and then dip into leftover breadcrumbs on both sides. 4. Heat a skillet with some olive oil and cook on 2-4 minutes on each side, or until falafel burger is golden brown. 5. Serve with buns and toppings of your choice. For the Tahini paste: 1, Add ingredients for tahini paste into a blender and blend until creamy. 2. Serve with your falafel burger. 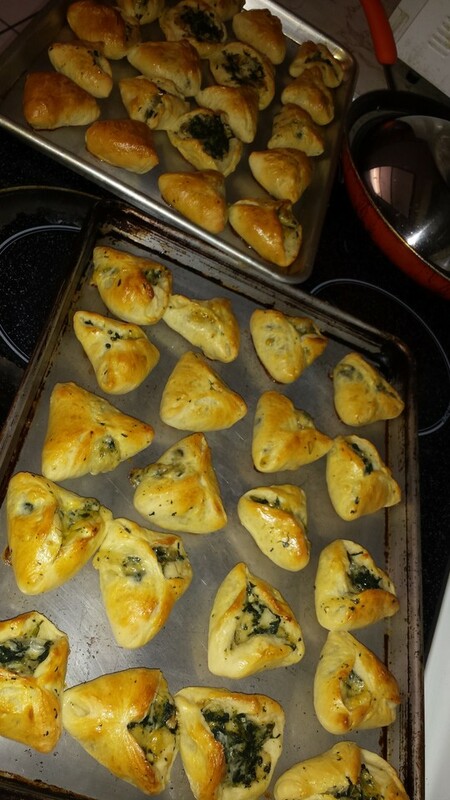 I love Vingle ---- learned so many things in here and one of them is making these babies, delish! A 'donburi' - or 'don' for short - in Japanese cuisine is any type of meal that is eaten over a steaming bowl of rice. 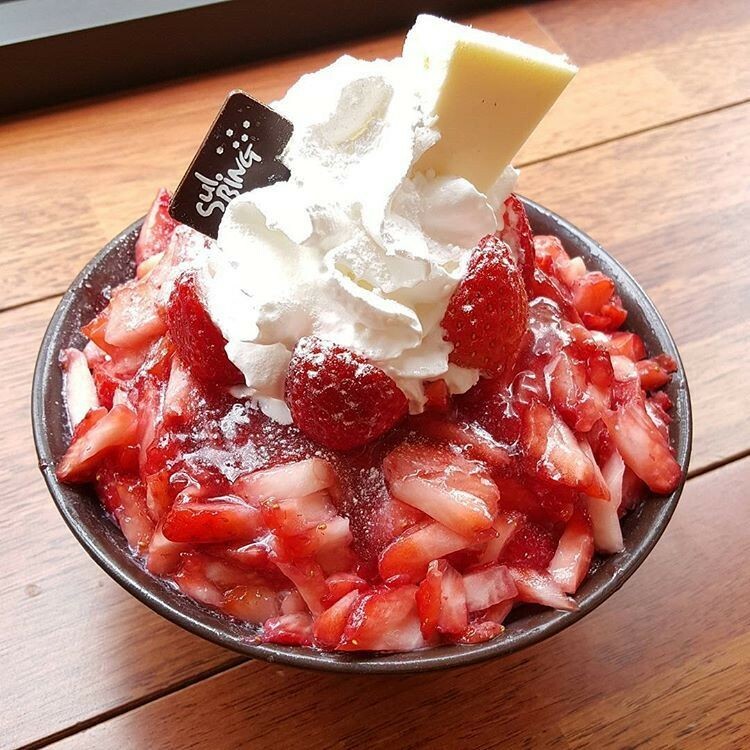 Among the most internationally popular are katsudon, a rice bowl topped with a fried cutlet and covered in katsu sauce, or gyudon, which is topped with simmered cuts of beef and chopped onion. Perhaps my favorite of all the donburi meals out there, however, is oyakodon, which literally translates to 'parent-and-child' donburi because it uses both the egg and the chicken. (A little gross when you think about it, but whatever. It's delicious.) A warm bowl of oyakodon gives me the same kind of wholesome 'well-being' feeling I would get when I ate a bowl of chicken noodle soup growing up. I blame this either entirely on the chicken and onion itself or the aromatic flavors the donburi is cooked with. In any case, oyakodon is perhaps one of the simplest donburi bowls to make, and I highly suggest you try it out yourself! Pretty much all of the harder to find ingredients (particularly dashi and mirin) should be easy to find in the international section of your local supermarket. 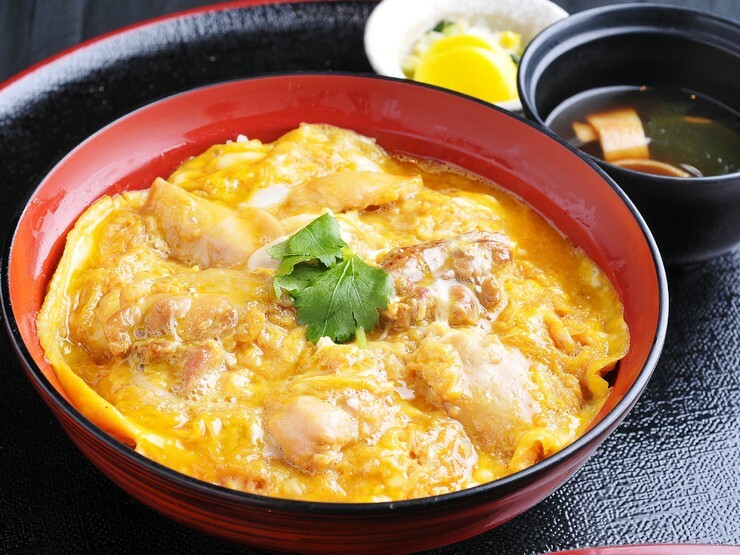 ------------------------------------------------------------- Oyakodon, Chicken and Egg Rice Bowl Chicken thigh, skin on (You can use any cut of chicken really, but I prefer using boneless skin-on chicken thigh because of all of its flavor.) 2 eggs 1/2 cup dashi broth (or chicken broth if you have trouble finding dashi near you) 2 teaspoons soy sauce 2 teaspoons honey 2 tablespoon sake (or mirin) a pinch of salt green onions, chopped 1. Place your chicken onto a cold saute pan with some oil, making sure as much meat is making contact with the pan so that cooking will be nice and even. Adjust to medium heat and continue pressing down the meat with a spatula as it cooks to make sure that every bit of the chicken is touching the pan as it goes from cold to hot. It'll make your chicken nice as crispy! 2. As your chicken cooks, mix dashi, soy sauce, honey, and a little bit of salt in a small bowl. In another bowl, throw in two eggs and lightly beat them just enough to break up the yolk. 3. Once the chicken skin is browned, remove from heat and cut the meat into small, bite-size pieces. Don't worry if your chicken isn't cooked thoroughly because it will be put back in the pan later. 4. Drain excess oil in the pan, and put it back on your stove to medium-high with the chicken. Add sake or mirin and cook until the liquid is evaporated. before adding the dashi/soy sauce/honey mixture. Cook until the liquid boils. Add the green onions and egg mixture, and cover until the eggs reach a preferred consistency. 5. Serve over rice, and as an option, garnish with flat-leaf parsley or furikake, a seaweed-based garnish you can find at most Japanese markets. Enjoy! I know, I know. Too good to be true. Kitchen Sanctuary put together this fantastic recipe, and I included part of it in the card below. 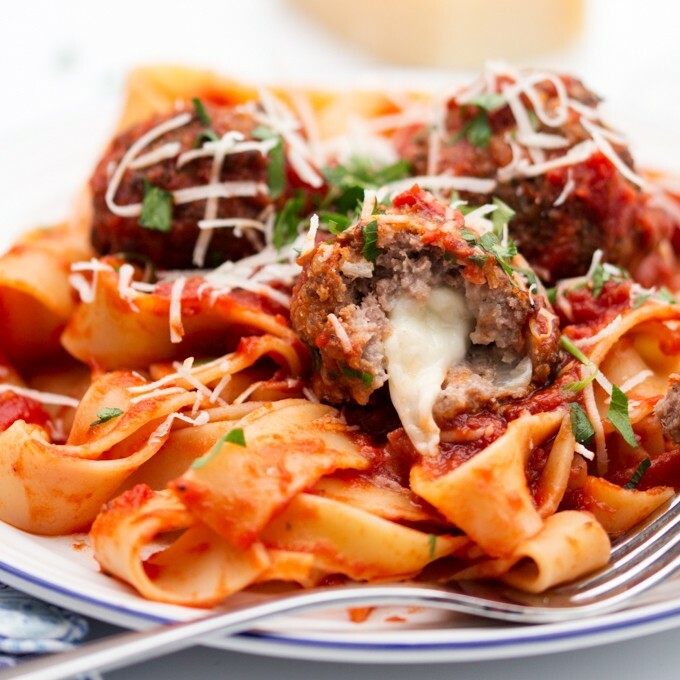 To make the full meatball, sauce, and pasta combo or even how to make this gluten free, find the full recipe here. Meatballs: 4 good quality sausages taken out of their skins 500g (1.1lbs) lean minced beef 50g (1/2 cup) panko or fresh breadcrumbs 4 tbsp grated parmesan 1 small onion, finely chopped 1 tsp dried oregano 1 egg 2 tbsp olive oil pinch of salt and pepper 1 x 200g (7oz) pack mozzarella, chopped into 24 chunks (2 extra, just in case) For sauce and pasta, get the full recipe on Kitchen Sanctuary. Preheat the oven to 190C/375f. Mix all of the meatball ingredients except the mozzarella in a bowl with your hands. Squash it all together but don’t overmix as this will make the meatballs tough. Take a golf-ball chunk of the mix in your hands and flatten it into a pattie. The place a chunk of mozzarella in the middle and wrap the meat around. 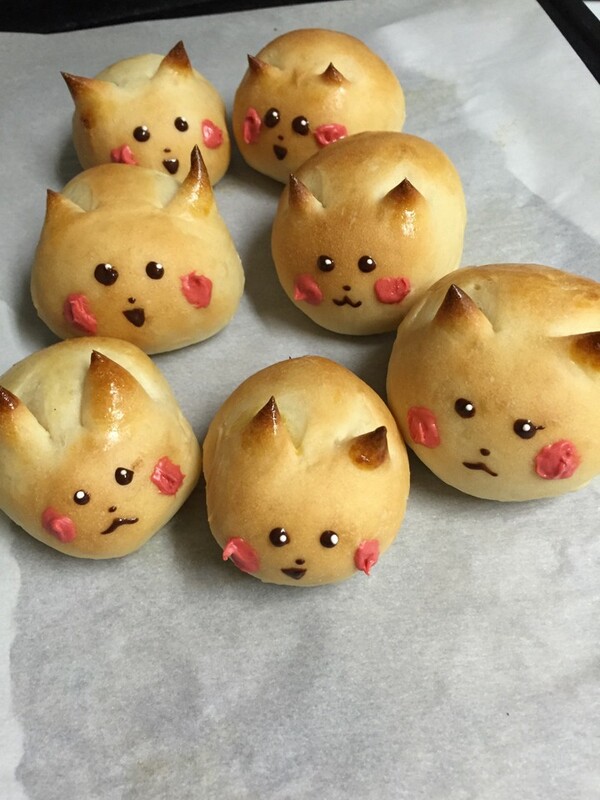 Roll into a ball and place on a baking tray, then repeat with the rest of the mix. Put in the oven for about 20 mins. Keep an eye on them toward the end of the cooking time and turn the oven down a little if they start going too dark. I've been wanting to write a card about this for a while because I feel like this is a really unique experience that, at the same time, a lot of people can relate to. My mom was born in the Middle East, raised in Mexico, and moved to New York City when she was a young girl. Because of this, she had a really different way of raising us than maybe the 'normal' American parent would, and I don't think I really understood why I felt so weird and different growing up until I could look back at the whole experience and realize - hey, I'm a first generation. My favorite show on television right now is 'Fresh Off The Boat', a loosely biographical comedy based on the life of celebrity restaurateur Eddie Huang and his childhood as a first generation Taiwanese American. The Huangs might be from Taiwan, but I feel like the things they experience and the way that they handle situations are so reminiscent of anyone who comes from a similar family situation. Inspired by that show, and facets of my own life, I figured I'd put together a list of ABSOLUTELY TRUE (AND TRULY HILARIOUS) experiences first-generation kids deal with when growing up. Granted, many of these are my own experiences and might not be true for all first generation kids. However, I hope you all get a laugh! Your grandparents don't speak English - and taught you all the best insults in the language they DO speak. Okay, maybe Teta (aka 'Grandma') didn't want me to know how to call people sloppy, dumb, and fat in Arabic, but she talked so much Middle Eastern smack that those are some of the only words I know. You never get to eat the cafeteria lunch - just whatever was left over from last night's dinner. There's nothing quite like trying to explain to the other kids at the table what falafel is. (Not many 4th graders have come across it before, and don't realize that they'll be devouring them by the dozen when they become the 'trendy' foreign food 15 years later.) You have so many cousins that family photos require the panorama feature. So you've got your first cousins, your second cousins, your third cousins once removed, the cousin who is a cousin of your other cousin (which also makes you cousins, according to your mom), and the cousins who aren't actually cousins but are so close to your family they're treated just the same. Your mom isn't saying you have to marry someone of the same background, but she isn't NOT saying that. Just like she's not telling you that your wedding ceremony has to be in your family's church/mosque/temple/religious center of choice and that you must give her lots of small, chubby, adorable grandbabies. You have to warn your non-ethnic friends about your family before they show up to a party. Take your shoes off, sample the hummus, and I apologize in advance that no one on my mom's side knows how to pronounce the 't' in 'Courtney'. (You guys, my uncles paid for a bellydancer to show up to our Fathers' Day party one year. I cannot make this up.) You have an uncle that pushes alcohol on everyone even though half of your cousins are still in high school. Here's looking at you, Uncle Alfif. (Or as we say in my family - Alcoholic Al.) And your parents aren't really fans of the fact you never tried learning 'the language'. Why do I need to learn how to speak a language I'm only going to be able to use when I'm talking to old people at family functions? I already learned all the good words from my bilingual cousins anyway. Are you a first generation American kid who has their own stories? Let me know in the comments below! 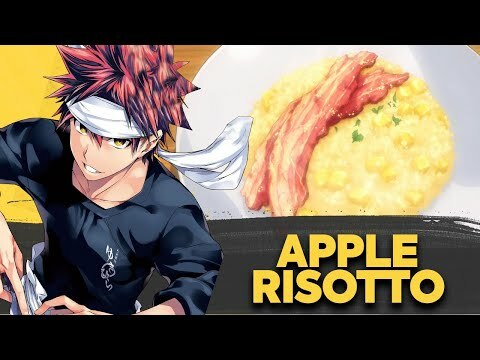 Shokugeki no Soma Food IRL! 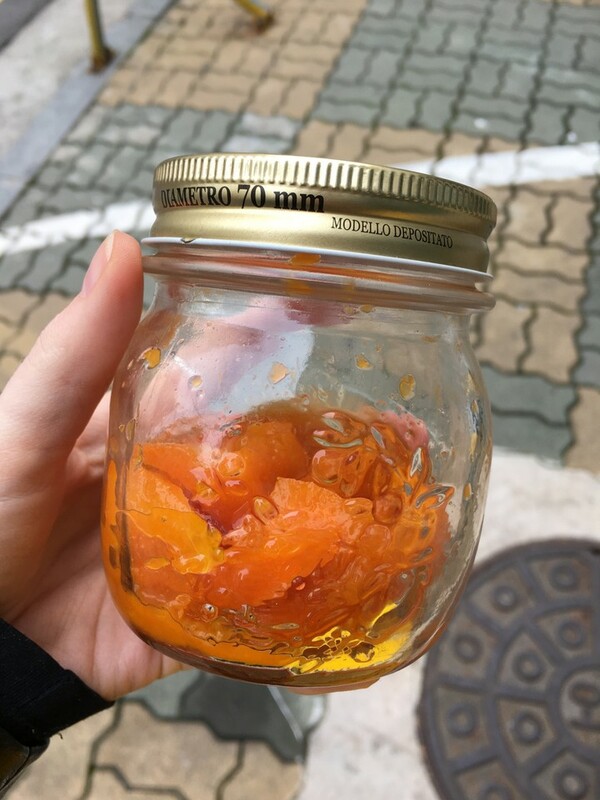 I Made Korean Orange Tea! So in Korea there is a fruit called a 유자 (yu-ja) and it is similar to a lemon. A really really popular drink is 유자차 (yu-ja-cha) Yuja Tea! You basically make a sort of jam out of the fruit and then when you're ready for tea you add a scoop to your cup and then add hot water! It's used a lot to help sore throats and colds. I didn't have yuja and you're able to use grapefruit, lemon, and orange as well so I tried to make some with orange! It tasted pretty okay :D Here's a recipe!!!! Has anyone tried this before?! Making Arabic Coffee (Kahwa) at Home + Bonus Fortune Telling Video! 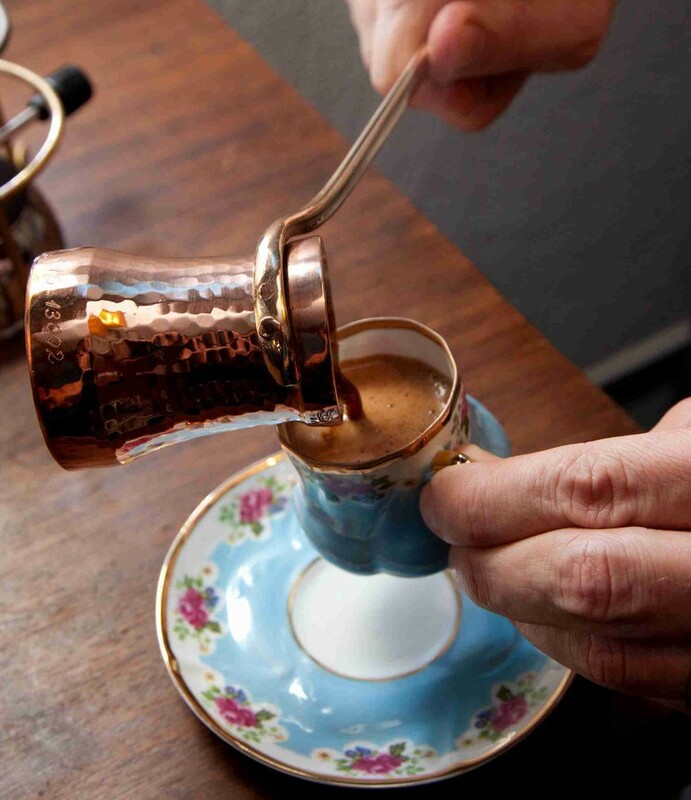 The greatest experience a true 'caffeine head' can have is sitting down to a cup of Arabic coffee. Arabic coffee, often referred to as 'Turkish coffee' as well, is something my grandfather used to jokingly insist put "hair on your chest" based on its strength and thicker mouthfeel. Instead of straining the ground coffee through a French press or a standard Mr. Coffee, the coffee used for Arabic style coffee is ground into a fine powder and boiled into the water. It's definitely quite a kick! One of my favorite parts of drinking Arabic coffee growing up was having my fortune read to me from the remaining coffee grains that rested at the bottom of my cup. After we're done drinking our coffee, we flip over the small demitasse cup we're drinking it from and allow for the rest of the coffee to collect in the saucer. When you flip it back over, the 'fortune teller' of the family looks for symbols in the grinds and tells you what to expect in your future. This is, of course, just for fun, but it doesn't make it any less exciting! (Check out the attached video of a Syrian family reading one another's fortunes to see what I mean.) Here is a quick recipe for how to make Arabic coffee at home. If you don't want to invest in a brass coffee pot, you can use a regular saucepan for a similar result. ----------------------------------------------------------- Arabic Coffee (Kahwa) 2 cups water 3 to 5 tsp. sugar 6 tsp. Turkish coffee (or any medium to dark-roasted coffee ground to a powder) 3 cardamom pods or 1/8 tsp. cardamom powder 1. In a brass coffee pot or regular saucepan, bring water and sugar to boil. 2. Add coffee and cardamom, stirring constantly. When mixture comes to a boil and becomes frothy, remove from fire and stir until froth has receded. Repeat this process two more times. 3. After the coffee has foamed and subsided for the third time, pour into Arabic coffee cups (or demitasse). Serve the coffee very hot - a minute or two after pouring in cups to allow the grounds to settle in the bottom. Note: The amount of coffee and sugar may be increased or decreased to suit your taste. Makes six servings. ----------------------------------------------------------- Serve this with a fresh plate of baklava (using the recipe I posted in my 'Middle-Eastern Recipes' collection) and a small bowl of Jordan almonds for a complete Arabic style dessert spread! I love Middle-Eastern salads. I am a big advocate of eating tons of Middle-Eastern salads when you're on a diet. Not only are all the ingredients so colorful and fresh, but the lemon, mint, and olive oil so essential to these dishes create such a perfect combination of flavors that you don't even realize just how healthfully you're eating! Tabbouleh salad is perhaps my favorite one, and I remember growing up, tabbouleh was one of those few things (minus cold pizza) that tasted arguably even better a few hours later. Similar to a panzanella salad, the wheat absorbs all the delicious ingredients if it sits a little longer! Don't believe me? Let this taboulleh sit in your fridge for at least an hour before eating it, and you'll see that it was definitely worth the wait! 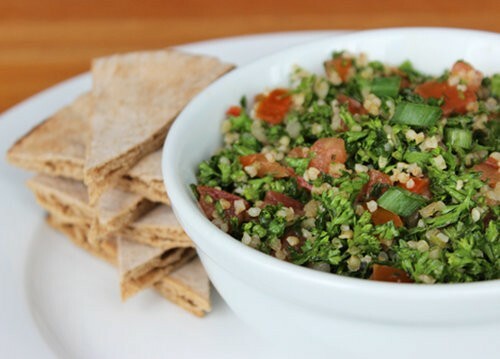 ------------------------------------------------------------- Tabbouleh 1/2 cup fine burghul (cracked wheat) 2 large tomatoes, diced 1 bunch green onions, chopped 4 bunches parsley, chopped 1/2 bunch mint, chopped (or 2 tbsp. dried mint) 1 large cucumber, peeled and chopped 1/2 cup olive oil Juice of 3 lemons 1 tbsp. salt 1/2 tsp. pepper Wash Burghul. Drain and place in a large bowl. Add all chopped vegetables and mix well. Add olive oil, lemon juice, salt, and pepper. Mix again, and serve over fresh green lettuce. ------------------------------------------------------------- You could eat this with a fork, but perhaps my favorite way is scooping it up with leaves of romaine lettuce, slightly similar to how you would eat a lettuce wrap. It's delicious! Here is a perfect summer food that is healthy , delicious and very easy to make. It contains mostly vegetables and protein - white beans. This meal you can make in 30 min. You can customize it the way you like, you can add more ingredients like cheese and make it creamy. Most importantly it's a homemade healthy soup that will leave your taste buds satisfied. 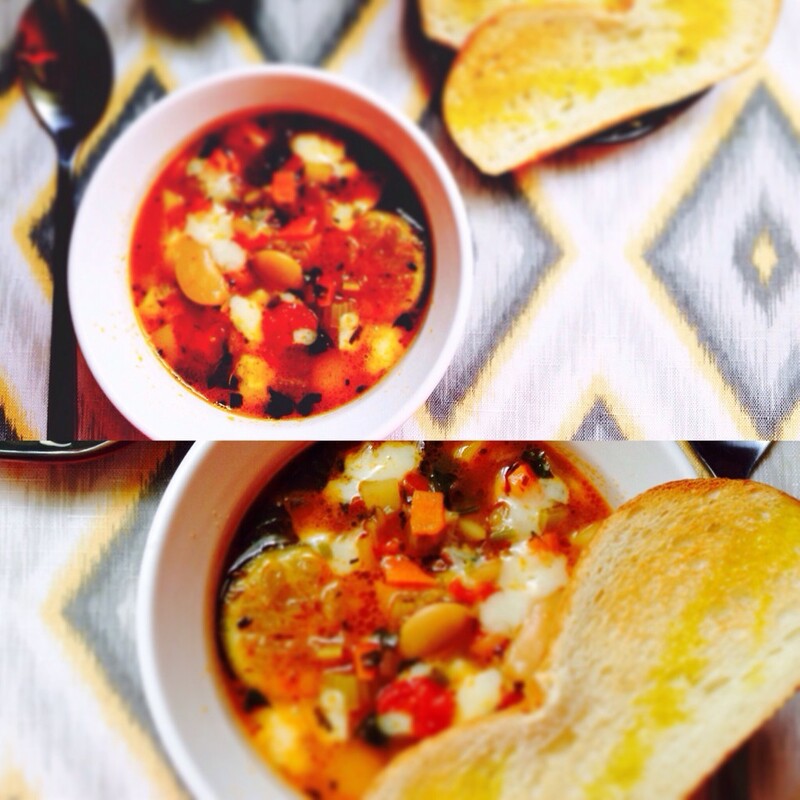 Ingredients: Onion Carrot Celery Tomatoes Parsley Rosemary Salt Slice of lemon Chicken stock White bean. First you cook all vegetables together very well so all the juices comes out. Then you add tomato paste and cook it all together. Then you add white butter beans and cook them together with vegetables. Add some tomatoes. Add chicken stock. Add slice of lemon. Rosemary. Salt. You can add feta cheese. 30 min later it's ready to eat. When I first got into Korean cooking, I had never actually eaten at a Korean restaurant. I didn't actually know what most of the dishes I was making were supposed to taste like, but as I live in a town with no real Korean restaurants, I was curious to find out more about the different foods the region had to offer. The nice thing about Korean food is, for the most part, the recipes are simple and easy to follow. The trickiest part about Korean cooking is being able to get all of the ingredients in place, which might require you to locate a nearby Asian grocery store or find a nice place to buy them online. (If that is your situation, I would recommend ordering from H-Mart's official website, one of the larger Korean grocery chains here in the US.) However, gyeran bbang - which translates to 'egg bread' - is a pretty simple Korean food to make without needing to dig that much for ingredients. In fact, you probably already have most if not all the ingredients in your refrigerator right now! Gyeran bbang is a popular street food that is often sold by vendors in South Korea. 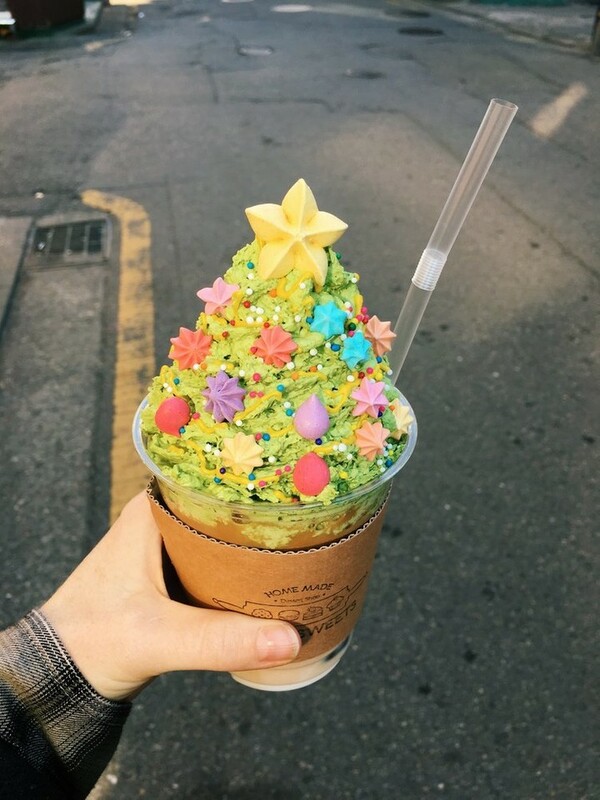 It was also made recently popular in the Korean television show "The Return of Superman" when actor Jang Hyunsung made them with his two sons. Gyeran bbang is perfect for any time of day, but is especially delicious when served warm for breakfast or on a cold winter day. An oval muffin pan is traditionally used to make the bread's shape, but a standard muffin pan works just as well. I've even seen gyeran bbang in adorable heart shapes! --------------------------------------------- Gyeran Bbang (Egg Bread) 3/4 cup flour 10 eggs 1/2 salted butter, melted 1/3 cup sugar 1/4 cup milk 3/4 teaspoon baking powder Salt, to taste 1. Preheat the oven to 350F. Whisk two eggs in a mixing bowl until they are slightly foamy. Add the sugar and continue whisking until all of it has dissolved. 2. Sift the flour and baking powder into the egg mixture. Add the melted butter and milk and mix well. Place the batter in a ziplock bag. 3. Brush the inside of the muffin pan with melted butter. Cut a 1/4" hole in one corner of the ziplock bag and squeeze 2 - 3 tablespoons worth of batter into each space. It should cover about the first 1/4". Smooth the batter with a spoon, if needed. 4. Carefully break an egg on top of each muffin. Sprinkle each egg with a generous pinch of salt, then cover each egg with the rest of the contents of the ziplock bag. (Make sure each muffin space is only 3/4 of the way full so that each muffin has room to rise.) 5. Bake the muffins for about 24 - 26 minutes or until golden brown. 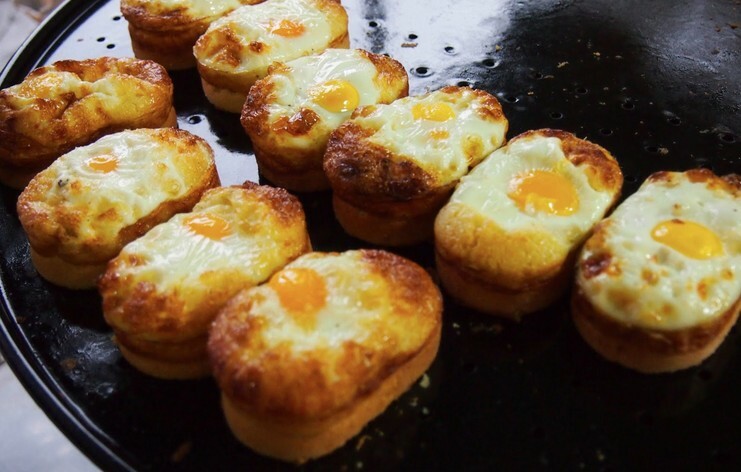 Turn off the oven, but leave the muffins inside for an additional five minutes to continue cooking the egg yolks. Serve warm. Iced Turkish coffee has been my go-to coffee recipe for the past few months now. I spent a majority of my 20s working behind the counter at Starbucks, and ever since I've been having to brew coffee at home again, I've found myself getting a little too creative with what I can do with my coffee knowledge. I love Turkish coffee. I love the punch it packs, I love the smell of it boiling over my stove, and making it is so much fun. Different from your standard Mr. Coffee machine, it really feels like you're an active and important part of the brewing process, even moreso than with a French Press. If you don't want to have to get a brass coffee pot to enjoy the taste of an iced Turkish latte, you really don't have to! 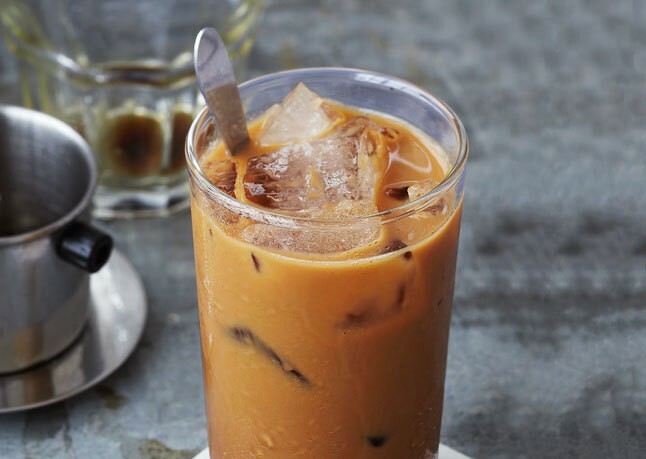 Follow this recipe, and you'll be enjoying a nice and refreshing (and incredibly aromatic) iced latte inspired by the flavors of the Middle East. ------------------------------------ Iced Turkish Café au Lait 1/2 cup milk (or any non-dairy milk. I usually use Silk soy milk, unsweetened.) 1/2 cup half-and-half (or any non-dairy creamer. I usually use Trader Joe's Organic Soy Milk Creamer.) 1 tablespoon sugar 6 whole cardamom pods, crushed 1 cup strong brewed coffee, chilled (I prefer using the Turkish coffee brewing method, which I described in this card: http://www.vingle.net/posts/522373-Making-Arabic-Coffee-Kahwa-at-Home-Bonus-Fortune-Telling-Video -- However, any brewing method of your preference should work for this recipe.) 1. In a small saucepan stir together the milk, the half-and-half, the sugar, and the cardamom pods, bring the mixture to a boil, stirring until the sugar is dissolved, and let it cool. 2. Strain the mixture through a fine sieve set over a small pitcher, stir in the coffee, and chill the mixture, covered, for 20 minutes, or until it is cold. 3. Divide the iced café au lait between 2 stemmed glasses filled with ice cubes.